Nicholas Ashton was educated at Chetham’s School, Manchester, RNCM at the Conservatoire Supérieur de Musique, Geneva and the Hochschule für Musik und Darstellende Kunst, Frankfurt-am-Main. Following a formal debut at the 1980 Manchester International Festival he proceeded to perform widely throughout Europe for ten years as a concerto soloist and recitalist. He subsequently worked for three years as a teacher and translator in Frankfurt and one year in London as an assistant opera agent at Anglo-Swiss Artists’ Management. 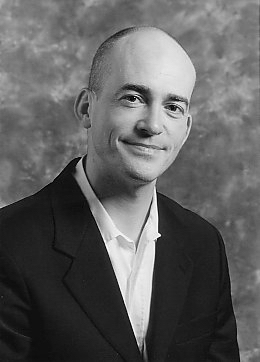 Nicholas studied with the widely respected music semiologist, the late Raymond Monelle, from 1992-1994, at Edinburgh University. He was also influenced by post-Frankfurt School philosophers, particularly Jurgen Habermas, while attending lectures at the Goethe University, Frankfurt. He resumed performing as a result of encouragement from Murray Perahia, the distinguished Schenkerian analysts Carl Schachter and William Rothstein and Menahem Pressler. His first public recital in Scotland in 1995 was highly praised and resulted in regular offers to play. A live recording of a subsequent recital at the Queen’s Hall in Edinburgh was brought out on CD in 1996. Since then he has given seven solo recitals at the venue and has performed to critical acclaim in concerts throughout the UK and in Germany. He has contributed regularly as a performer and in interview for the BBC, NDR 2 and 4, Bayern 4, Radio Suisse Romande, Radio New Zealand and in the USA. He has performed over forty separate solo and chamber programmes at the Stock Exchange Hamburg for the Hamburg Chamber Music Society (of which he was Artistic Director in 2002). He has performed regularly in the Glasgow and Edinburgh University Recital series and at RNCM. In 2005 Nicholas was invited to give recitals and masterclasses at Central Washington University, Pirkenmaa University for the Applied Arts, Tampere, Finland, and the University of Tennessee at Knoxville. A CD recording for Delphian Records of the complete works for piano and the piano quintet by the distinguished Scottish composer Robert Crawford, in February 2008, attracted very high praise in the media. Nicholas is part of a new piano duo with the Lithuanian pianist Lauryna Sableviciute specialising in contemporary repertoire Nicholas has been a regular chamber music partner for the Edinburgh Quartet. His carefully nurtured students have been consistently successful in competition and as postgraduates at RNCM, RSAMD/RCS, RCM, Guildhall, RWCMD and RAM. Since 2010 he has been Specialist External Assessor for Keyboard at RCS. He is also in demand as an adjudicator.